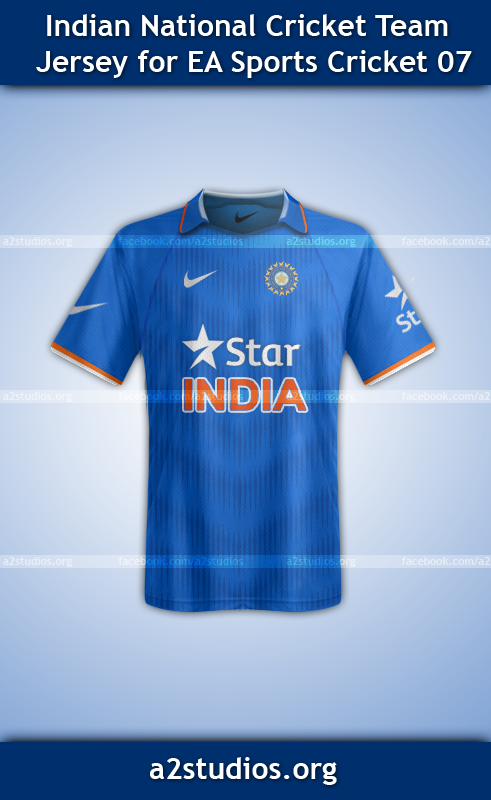 Hah, every Indian Cricket fan, and probably all Cricket 07 fans, would have been waiting for the Latest Indian Cricket Team ODI Jersey. Its no one, it was no one, but once again only A2 Studios, has presented such a latest kit, that includes full high definition textures. Full Scratch work and charming kit, is here! Just download it from below and enjoy that what you had been waiting for! So, waiting for what now, the wait is over now, and download the HD kit from below! Just extract the only downloaded file into your Root Cricket 07 folder!